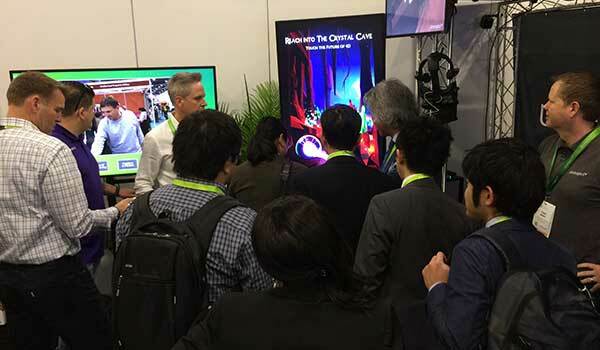 Ultrahaptics’ plug-and-play module STRATOS™ Inspire and the Ultrahaptics Core Asset for Unity® make adding mid-air haptics to gesture- or motion-controlled digital signage easier than ever before. Dr Hannah Limerick from Ultrahaptics’ user experience team shares six easy design tips for creating amazing haptic experiences. Content is king, and this is no less true in haptic experiences than any other medium. In our user studies, people describe their experience with mid-air haptics as giving them the impression of a brand reaching out to touch them. Or, in other words, mid-air haptics creates a literal touchpoint between a brand and a customer. How, though, do you make those brand touchpoints as compelling as possible? Here are six easy design tips to create amazing haptic experiences in digital signage. Don’t fall at the first hurdle! Non-interactive digital signage is still the norm. Make sure you let people know your digital signage installation is interactive. Simple text, such as “Touch to start”. 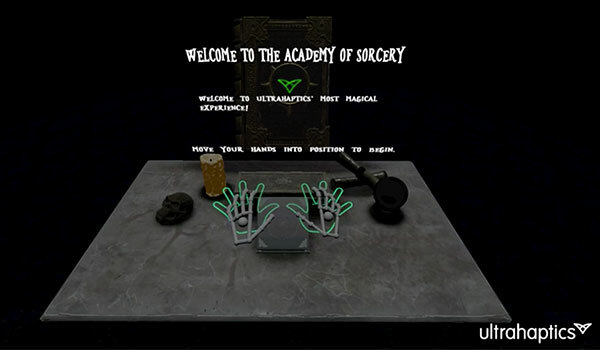 An on-screen animation, such as a hand waving. “Magic mirror”: in this, the incidental movement of passers-by is mirrored onto the screen. This can be very effective in indicating interactivity. The good news is that, once you get a few people drawn in, your experience will likely do the rest of the work for you. Interactive experiences naturally result in people remaining within the target zone of a digital signage installation. Because they do so, what is known as the “honeypot effect” comes into play. This is where additional passers-by are stimulated to stop and engage by seeing others do so. It’s a very powerful way of attracting more users. Include a brief initiation phase at the start. For example, the user might align their hands in a certain location to trigger the experience. This provides the user with a feeling of control over the interaction. This also helps to communicate where they need to place their hand, and means the experience is not accidentally triggered by someone just walking past. Ultrahaptics’ mid-air haptic effects are generated by an array of ultrasonic transducers that project tactile effects onto a user’s hands. For digital signage, typically these transducers are in the STRATOS™ Inspire haptic module. STRATOS™ Inspire can easily be bolted onto existing audio-visual hardware (for more information, see our integration guide). Positioning the array between 75 and 90 centimetres high is usually ideal. This means most users will simply have to hold their hands out to feel haptic feedback. 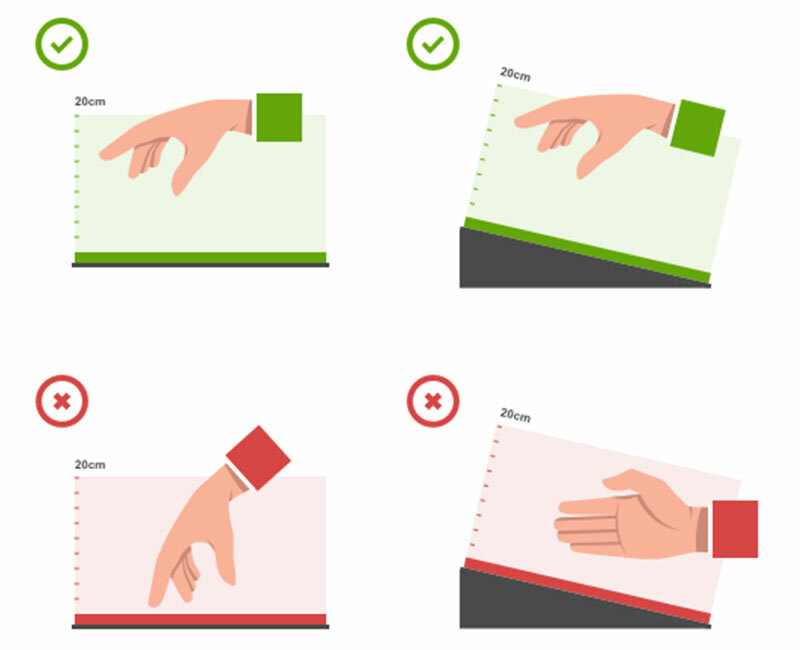 It’s best to avoid angles that mean the user has to hold their hands at an awkward angle, and you may also need to inform users where to place their hand over the array (20cm above is a good rule of thumb). Imagery to guide users as to where to place their hands can be placed either at the start of the experience or as a poster near the display. Simple interactions that foreground haptics are often the most effective. Ultrahaptics’ technology is unique in the way it enables the creation of ethereal and intangible sensations, such as swirls or gusts of wind, flames, crackling lightning or energy, pops or ripples. In short – a sense of magic! A general design concept for multi-modal experiences is to ensure that inputs/outputs received through different sensory channels are closely aligned (or congruent). Haptic experiences are no different. 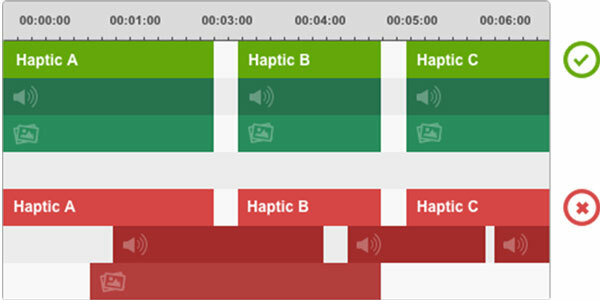 Choose haptic sensations that relate closely to what is being conveyed in audio and video, and make sure that they fit the narrative of the concept. 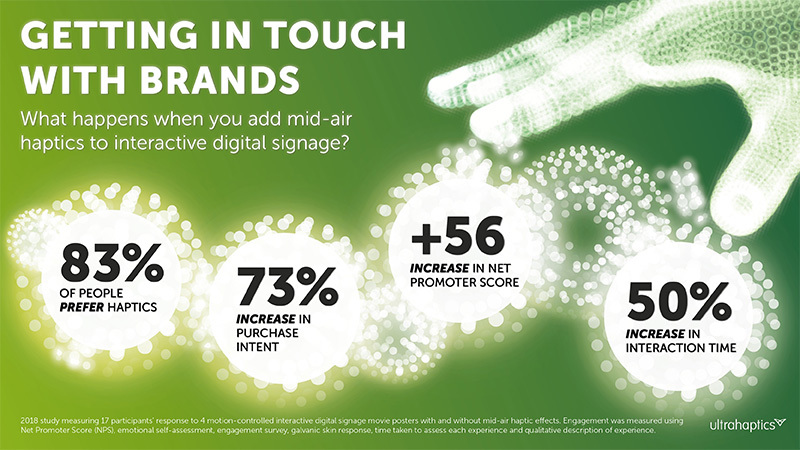 Interactive digital signage incorporating gestures and mid-air haptics has been shown to have a powerful effect on user engagement and key advertising metrics such as Net Promoter Score. In order to measure your own success and analyse ROI, incorporate anonymous data capture software such as Quividi into your installation. To stay up to date with the latest news from the world of haptics, please sign up to our newsletter. Dr Hannah Limerick is a User Experience Researcher at Ultrahaptics. She can be contacted here. How much do you really know about haptics?